It was published in India for Berger paints back in 2009. It’s an excellent example of environmental advertising: using the surroundings of a billboard or display to give an ad the edge compared to regular ads. 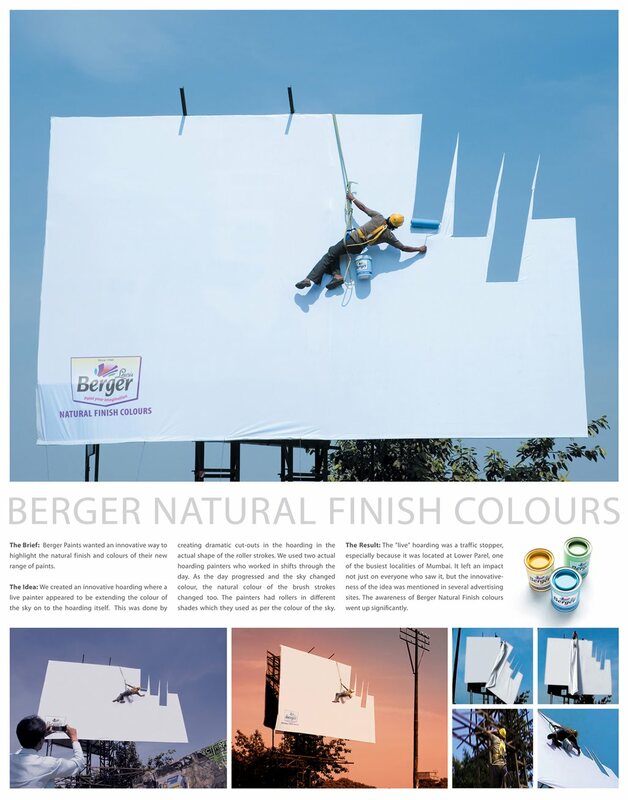 The ad brief was simple, and JWT India delivered: Berger Paints wanted to highlight the natural finish and colors of their new range paints in an innovative way. What better way to do so than with natural sky colors and lighting? I’m not sure whether such an ad would have worked in more cloudy and rainy countries like England and such, but it doesn’t matter. They got quite a bit of attention with this innovative billboard ad, so in this case: mission accomplished. 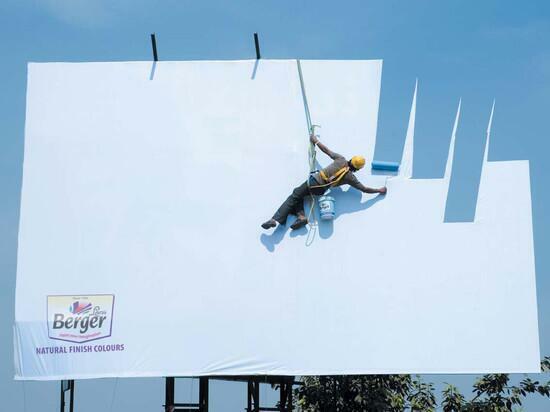 Good job JWT India and Berger Paints! There have been numerous ads over the years making use of the environment – either nature, the weather or a cityscape. I will post a few more marketing examples of that type soon. Next story Pizza Hut Japan now run by cats – called Pizza Cats!